NASCAR heads back to Texas this weekend for the second race of the Round of 8 in the playoffs at Texas Motor Speedway in Fort Worth. The intermediate track sets up an interesting race as three of the top four drivers in the playoff standings in Kyle Busch, Martin Truex Jr. and Kevin Harvick all have wins on 1.5-mile tracks this season and Busch and Harvick finished 1-2 in Texas in April. Joey Logano is the only driver with a spot locked up in the final four as he earned his second win of the year at Martinsville last week, but he still has a great chance to factor into the win this week as he finished sixth in Texas earlier this year and has finished no lower than seventh in his last five races on the intermediate track. The AAA Texas 500 can be seen Sunday at 3 p.m. ET on NBCSN. 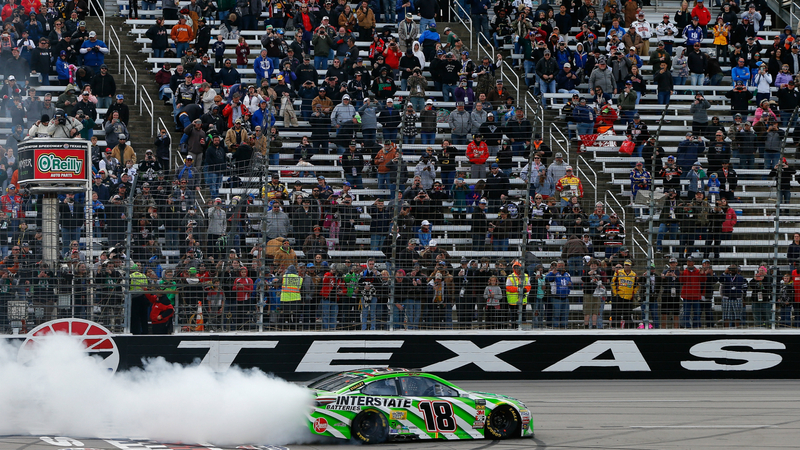 Which Monster Energy NASCAR Cup Series drivers are racing at Texas?